How do you add Eric Whitacre Choir into Kontakt? You don’t! 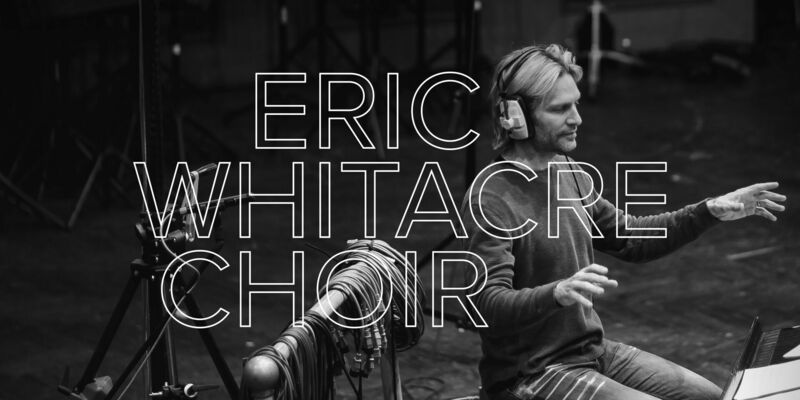 Eric Whitacre Choir is a dedicated plugin available as VST, AAX and AU so it can be used directly in your favourite DAW. What software will I need to run Eric Whitacre Choir? How large is Eric Whitacre Choir? Almost 170GB, across two plugins - a choir plugin, and an evo plugin. Eric Whitacre Choir will be available to download or order via our bespoke hard drive service. If you have unlimited data and a fast connection, it’s certainly possible to download, but if you’re not sure, we would recommend using our bespoke hard drive service to save your download burden. What other features are available in Eric Whitacre Choir? It has simplified controls, featuring sliders for expression and dynamics, and a big knob that can be easily customised to the user’s personal workflow. It’s clutter-free and focused. We have tailored it specifically for orchestral work, so loading instruments is a pleasure. It also includes articulation filtering, with clear and beautiful icons. What are evolutions, and what is an Evo grid? Evolutions are long notes that change over time then loop seamlessly back to the beginning. In our “evo grid”, you can select different evolutions based on the range of the note you are playing. Does Eric Whitacre Choir contain legatos? Legatos are available on the Soprano, Alto, Tenor and Bass sections. Yes, this is a single user license, but our EULA allows for installation on up to two computers at a time. No, you can simply copy the “Spitfire Audio - Eric Whitacre Choir” folder over and use the Repair feature in the Spitfire Audio App to ensure the plugin can find all the content that it needs. Which other Spitfire libraries would Eric Whitacre Choir work well with? Recorded in The Hall at Air Lyndhurst, this library will work well with many of our other libraries also recorded in the same location. These include: Hans Zimmer Strings, Spitfire Symphony Orchestra, Spitfire Chamber Strings Professional, Olafur Arnalds Chamber Evolutions, and Hans Zimmer Percussion Professional. How does Eric Whitacre Choir compare with other choir libraries? Is Eric Whitacre Choir available with an educational discount? Yes, this library will be available with an educational discount. Request your educational discount here. Consider this the new core part of the orchestral range. Adding a choir to your composition can be as second nature as adding percussion, for example. This library’s voice, under Eric’s scrutiny, is a brand new world of sounds and aching emotion waiting to become part of the repertoire for composers.